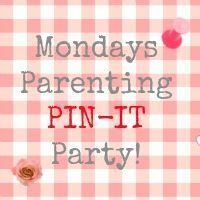 Back with our Monday party, here we are going Pinterest crazy! Today we are visiting the lovely All you need is Love and Cake for the first time. Adding the badge for your host to the post you have linked up.